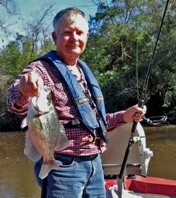 LAKE HOUSTON APRIL 16 CRAPPIE TOURNAMENT - Lake Houston Fishing! The tournament will be held April 16, 2016 from 7am to 3pm. The weigh in will be at B.J.’s Marina, 27907 Calvins Road, Huffman, TX 77336. This is a 2 man team event (Max 2 people per boat or 1 per KAYAK). Entry fee is $30 per person ($60 per boat). 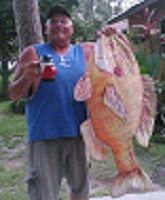 Each team will enter 7 fish at the weigh in. Money collected will be paid out for the top three heaviest 7 fish strings and the big fish of the tournament. You can enter at B.J.’s Marina anytime until the start of the tournament. No more entries will be accepted after 7am , 4/16/2016. 4. Tournament hours are 7am till 3pm. This means Line in water no earlier than 7am and out of water by 3pm. 5. You must be in the weigh in line at B.J.’s marina no later than 3:30pm. If you are not in line by 3:30pm you will be disqualified. 6. You can use any legal means to catch your fish. What were the results? My daughter and I fished it, couldn't find them.